This newish album by Matt Redman has been on constant repeat in my car and on my ipod for the last few weeks now. And I can honestly say, it is fantastic! I really love it. A great worship album with plenty of songs that are totally appropriate to sing in church! Below are a few youtube videos of some of the songs. I really would happily have put pretty much every song on here. This first one is great. A good song to open a service with I think... Kinda like saying hello God we're here to praise you in this place today! 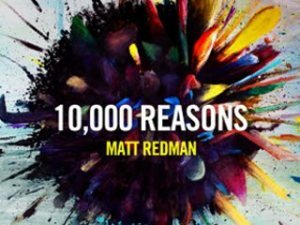 So I say thanks to Matt Redman for blessing the church with musically and lyrically good songs for singing as a congregation! Sadly that is rare! Thanks for sharing these songs, stumbled upon this blog looking for something else. Glad I found it.